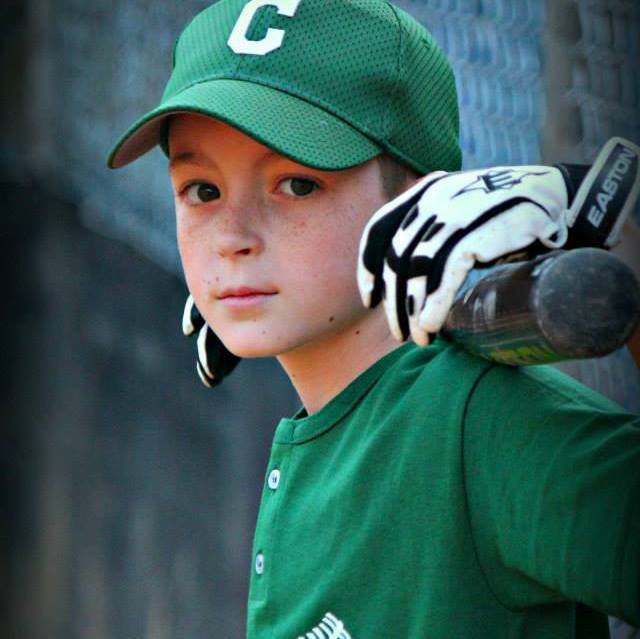 We recently shared the story of Grayson (read Deputy’s Son Raising Funds for Toys for St. Jude’s Kids), the son of a Deputy in Virginia who is raising funds and toys for St. Jude’s kids in honor of his friend Westin who died of cancer. Westin’s 10th birthday would have been this weekend – Saturday, July 12th. In honor of Westin, a party was held on Saturday. Lots of toys were donated (pictured), with many more on their way. Covered Law Enforcement was honored to donate two police motorcycle ride-on toys to support Grayson’s efforts! We congratulate and commend Grayson! He is going to reach his goal of $1,000 in toys donated by the end of this month. There’s still time to help. All of the information is in the previous post if you would like to make a donation or send a toy for St. Jude’s Kids. Cops are great about rallying around great causes. Just last weekend, I attended a benefit breakfast to raise funds for an officer who was diagnosed with brain cancer. I’m guessing somewhere around 1,000 people showed up to raise nearly $5,500 in just a few hours. We’re still asking you to join us in praying for Nathan Rogers, that God would heal him and draw him closer in faith. Through our ministry, several years ago we raised over $1,800 to help an officer’s family travel back to New York to visit the officer’s mother who was dying of cancer. She died shortly after the visit, but had the opportunity to see her son and newborn granddaughter first. Their family will forever cherish that visit. 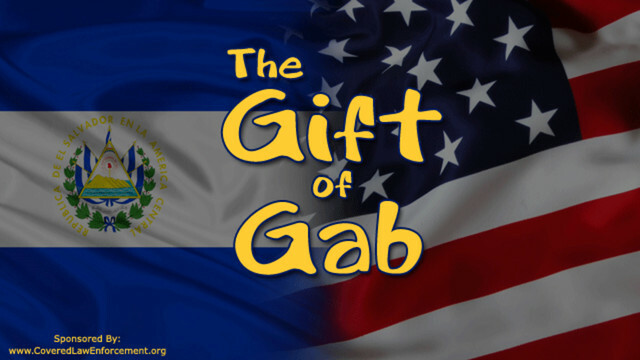 Last year, nearly $2,000 was raised to assist a high school senior named Gabby who is an undocumented immigrant, brought to the United States as an infant by a family member who ultimately neglected her. Gabby, who is pursuing a Criminal Justice degree and a career in the Navy, is now well on her way to citizenship, and will be attending college in the Fall. And then there’s the time, six years ago just this week, that officers and families rallied around my family after my wife gave birth to our daughter then suffered a massive heart attack 8 days later. I encourage you to take a few moments to read the very inspiring and faith building story (Read Meredith’s Story). Many donations of time, food, money, and personal days were given to help us make it through that ordeal. While everyone can’t help in every situation, all of us can do something occasionally. We can’t promote every situation brought to us, but I was contacted this week about one that is very compelling. Grayson (pictured above) is the son of Sheriff’s Deputy Mark Payne in rural Wise County, Virginia. As a child, he received treatment for an illness that has allowed him to not only survive, but thrive. Unfortunately, his good friend Westin (pictured to the right) was not as fortunate. 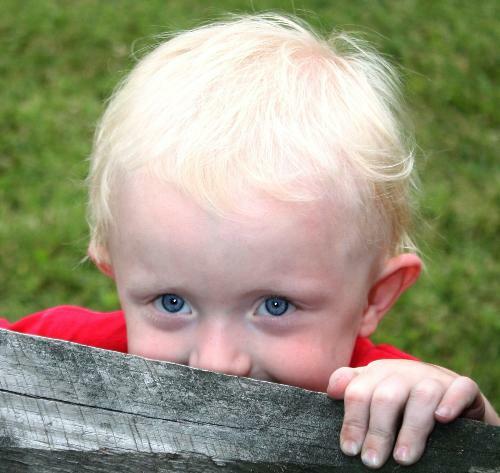 Westin passed away in February 2010 from Neuroblastoma cancer (Read Westin’s Caring Bridge Story). Grayson can’t give birthday or Christmas presents to Westin, who would be 10 this July 12th, so he has decided to raise funds – $1,000 – and give toys to the children at St. Jude’s in Memphis. One of the ways he is raising funds is by committing to run 100 miles in Westin’s honor (Follow Grayson’s Running Blog on WordPress). As the son of an LEO, when Grayson was sick he received lots of police related toys. He noted that many of the kids at St. Jude’s dream of growing up to be police officers, and love police related toys. So, he is specifically asking for donations that will enable the purchase of 6 police patrol battery operated ride-on toys and other police related toys or gifts. Blessings to you for all you do. Keep sharing the message of Jesus Christ! Our ministry was contacted recently by someone who adamantly asserted that Christians cannot and must not serve in law enforcement or the military. While this individual raised some valid questions that would have made for great discussion, ultimately we decided that the best response was no response. The individual seemed very contentious, misrepresented the Scriptures, and obviously has a clear agenda against those serving in law enforcement. There are several scriptural principles or examples that lend wisdom and direction to an appropriate response in these situations (which is, in some cases, no response), not the least of which was Jesus’ response to the religious leaders of the day and even Satan himself. Nevertheless, this situation does create an opportunity to delve further into the Scriptures, study to show ourselves approved, and offer devotionals that might encourage and strengthen our brothers and sisters in law enforcement. One great resource is found on the FCPO website under the “Resources” tab, found here and reposted below. It lists both Old and New Testament passages where the role, service, office, or type of law enforcement officers is found either implicitly or explicitly. Our encouragement is that you would use this resource as a devotional to research this calling under which we operate. Also, visit the FCPO website and consider entering into Christian fellowship with others serving in the Criminal Justice system by joining or leading a local chapter in your area. Genesis 3:24 – Police of Eden – Cherubim – Awesome police with weapons (better than a “Glock”). 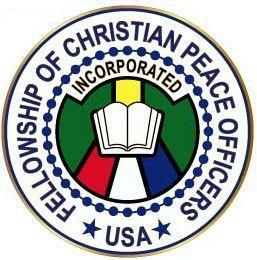 One of the greatest blessings for me, Jonathan, in law enforcement ministry has been my membership in and partnership with the Fellowship of Christian Peace Officers. There is no substitute for the mentoring and Christian fellowship that comes from this incredible group. I am always encouraged to see what God is doing in ministry to law enforcement throughout the country, as well as all of the great events that regularly take place. I thought I would share with our readers one of the latest email newsletters in case you don’t already receive it. If you are not an active or retired law enforcement officer, dispatcher, or other first responder, thank you for your support, encouragement, and ongoing prayer for all of us – and especially the Covered Law Enforcement ministry! We’d like to take a moment to share with you what God is doing through one of our FCPO members in Seattle. There are also several upcoming events and updates that you should know about. Don’t forget to visit the FCPO website often for the latest news, events, and updates. Police officers are ambassadors for Christ sent into the highways and hedges with the opportunity to impact lives in unique ways. The Seattle Times recently reported on a not-so-conventional ministry outreach by two Seattle officers – one of whom is Jeremy Wade. Jeremy was recently featured in our article Seattle/NW Officers of Faith on the move for Christ. Please take a moment to read the article Police fill a need with ‘Beds for Kids,’ other projects and celebrate what God is doing in the NW region. Good job Jeremy, and Praise the Lord! Every October, Jim Bontrager and his team host an incredible weekend of ministry and family fun in Elkhart, IN. This year is no different, and we encourage you to attend if at all possible. On Saturday, June 21, 2014, we celebrated the life and ministry of Rev. Lamar Stanley Moore (Executive Director of the FCPO). Throughout the service, several themes surfaced. Lamar loved and served Jesus Christ. Lamar loved and served his family. Lamar loved and served his church. Lamar loved and served the FCPO. Lamar loved and served everyone he encountered. Lamar loved and served. His life will be remembered, and his legacy will continue through all of the many lives he impacted. Please continue to pray for Lamar’s wife Vickie, his children, grandchildren, and multitude of family and friends. Also pray for the FCPO that we will be faithful to Christ and the legacy Lamar leaves behind. During the celebration of life service, the following tribute video was presented. We thought you would like to see it as well. View the Tribute to Rev. Lamar S. Moore. Stay connected by checking out these great FCPO chapter and affiliate ministry pages. Be sure to become a fan by “liking” each page, and spread the word! If there’s not a chapter near you, consider starting one today. Contact FCPO-USA for more information about starting chapters.